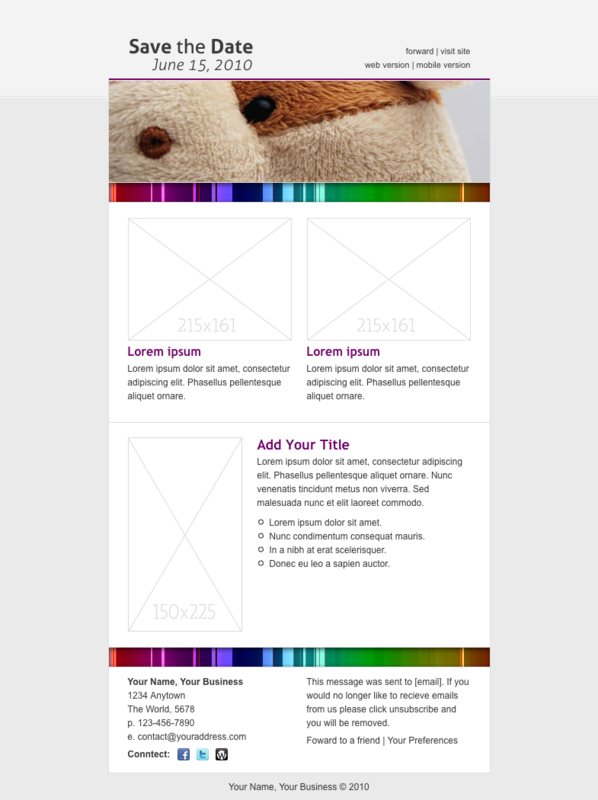 Save the Date is a clean and simple email template with a splash of color. 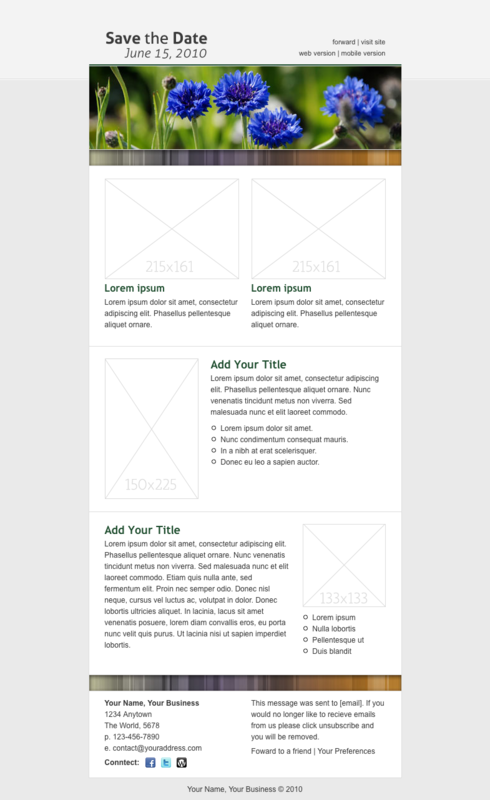 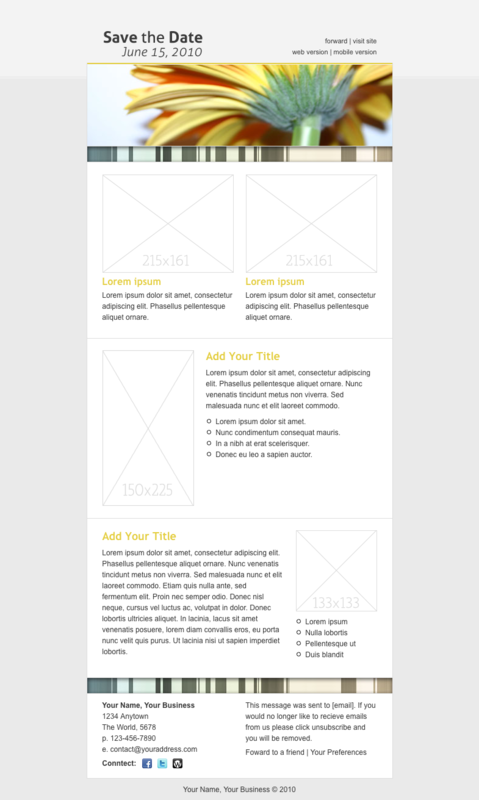 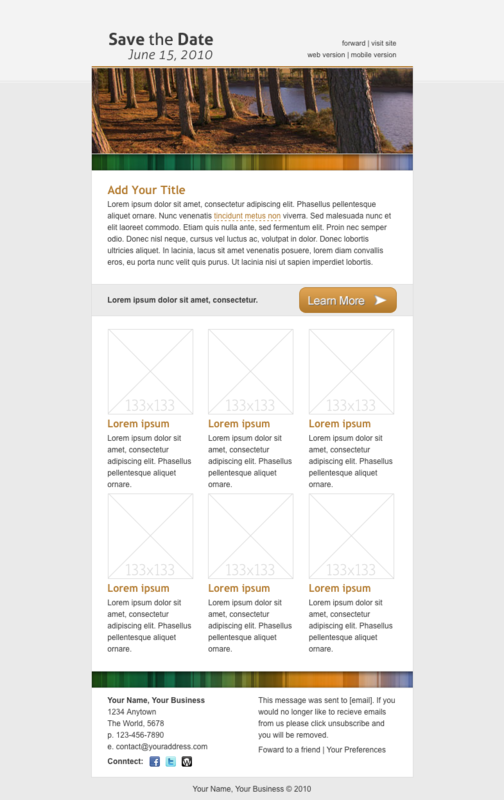 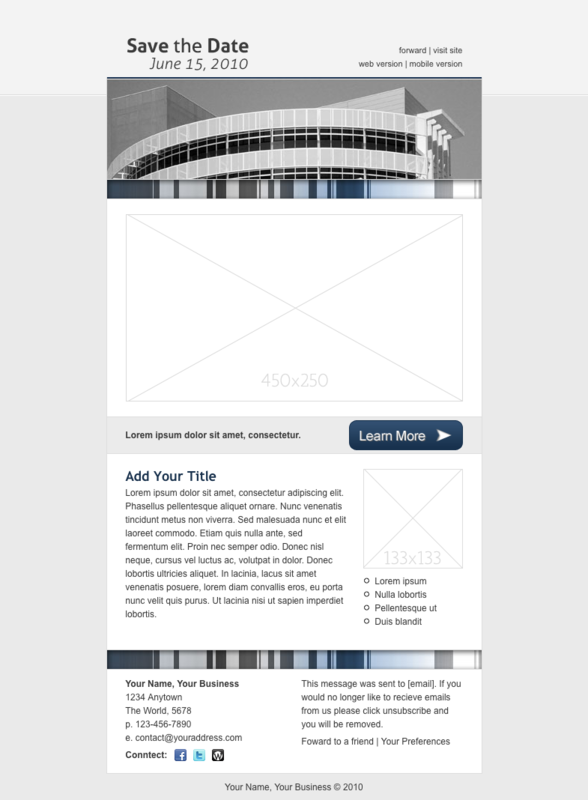 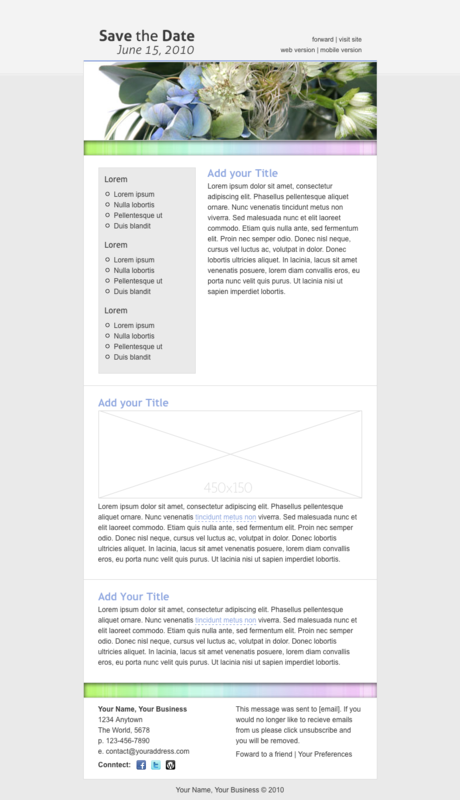 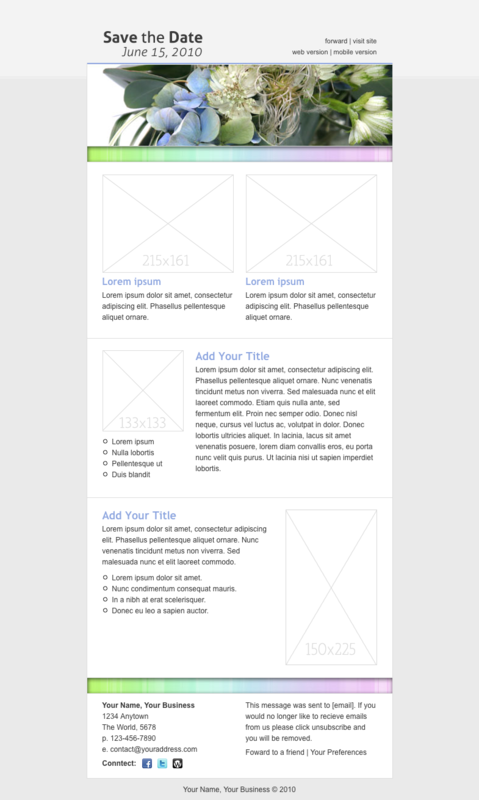 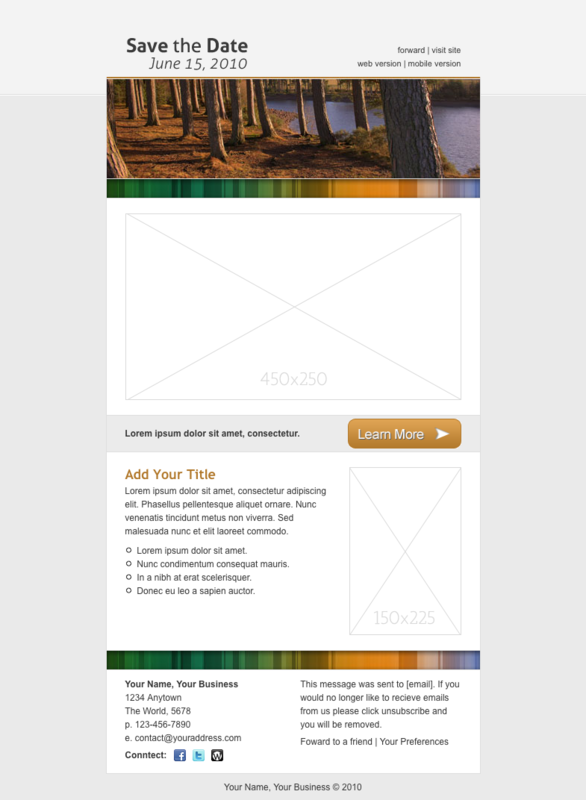 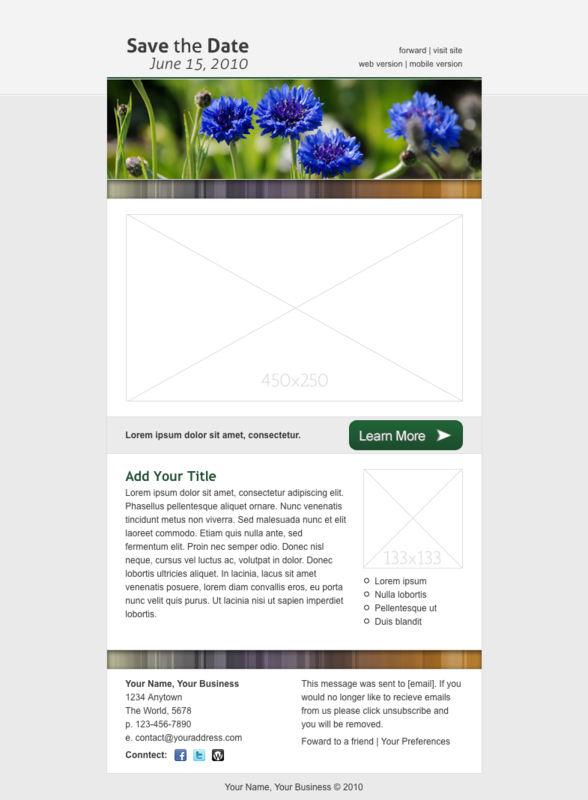 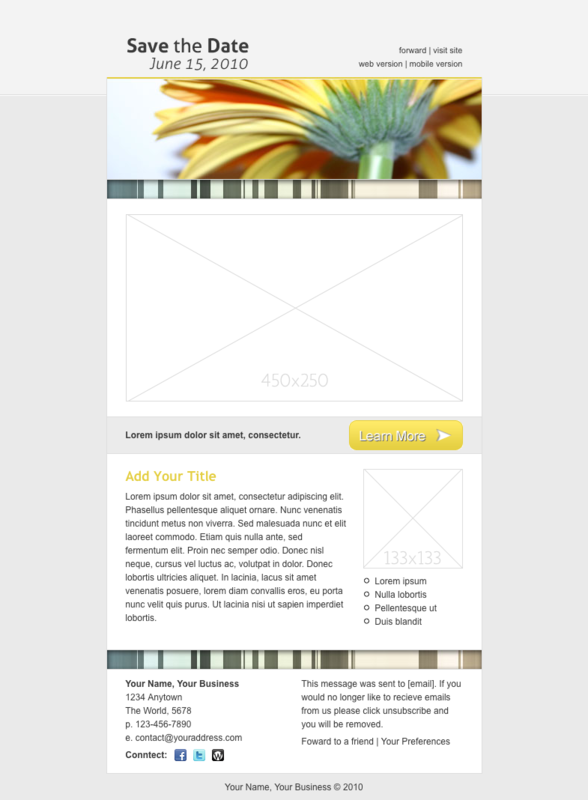 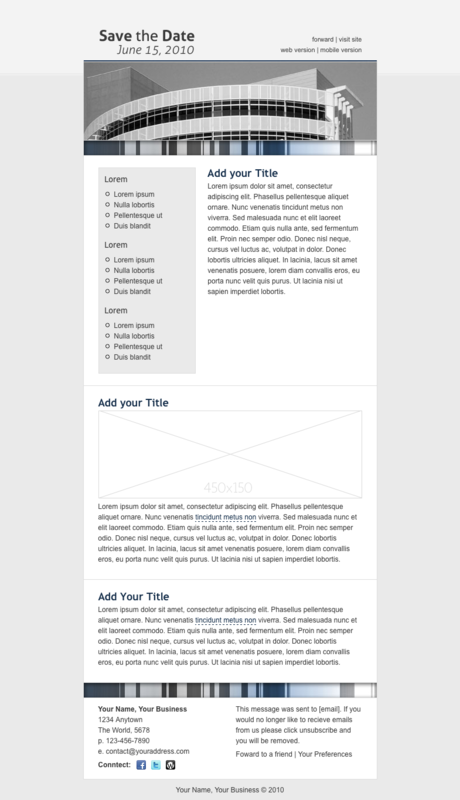 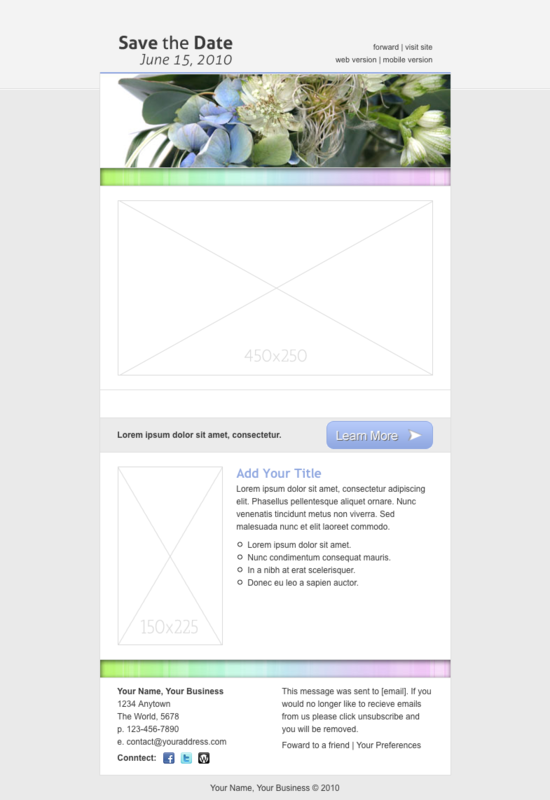 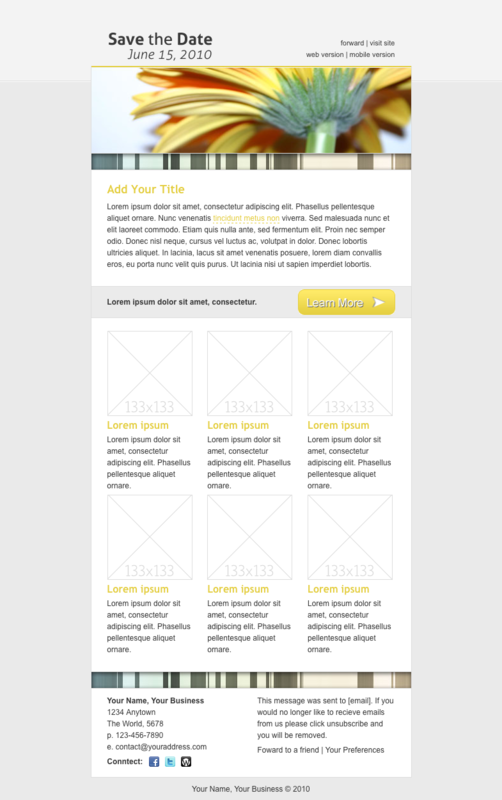 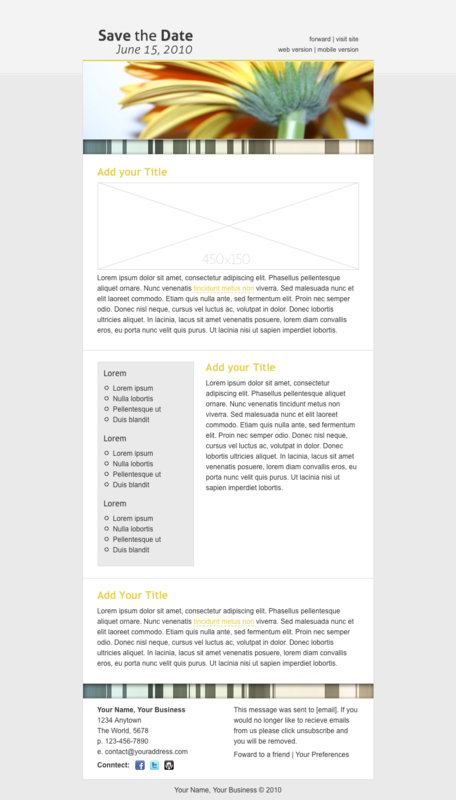 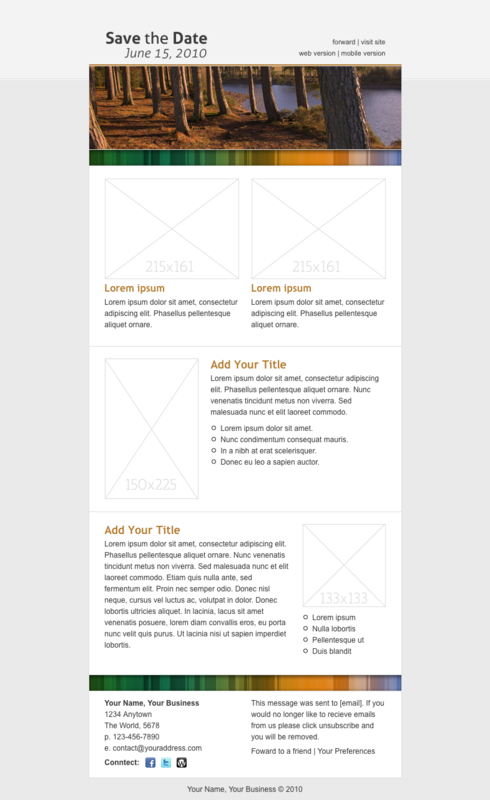 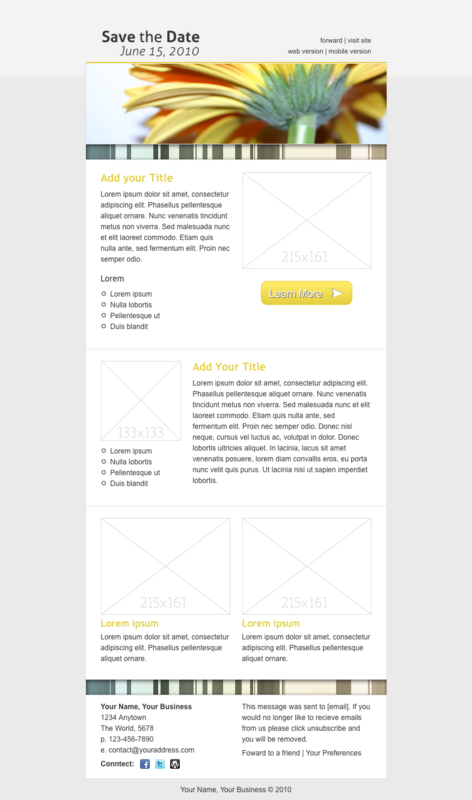 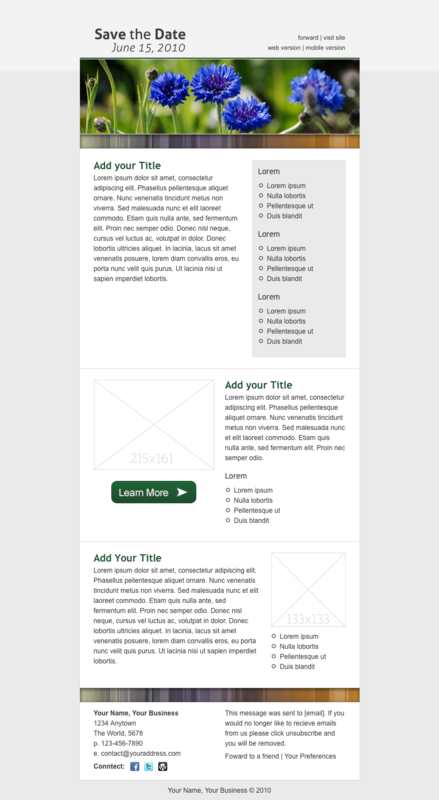 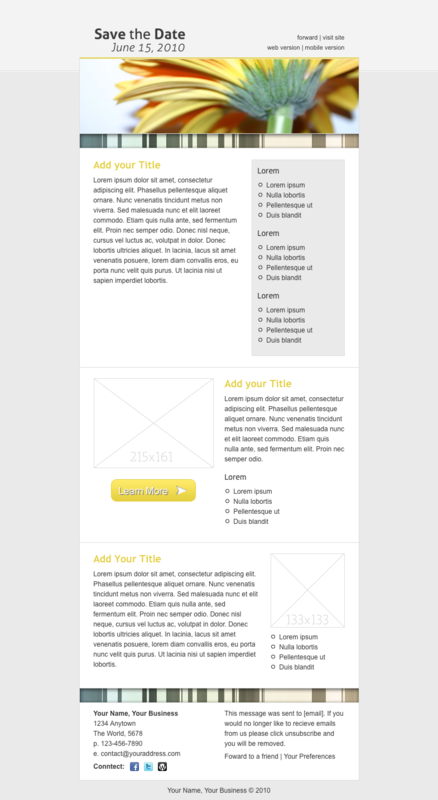 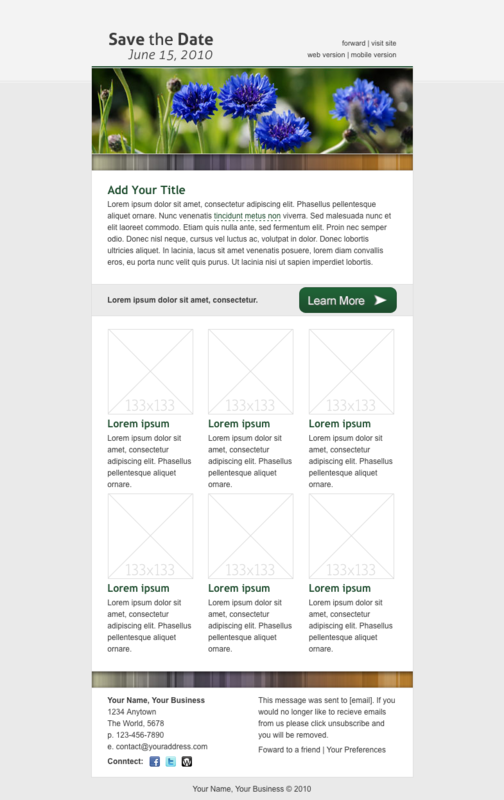 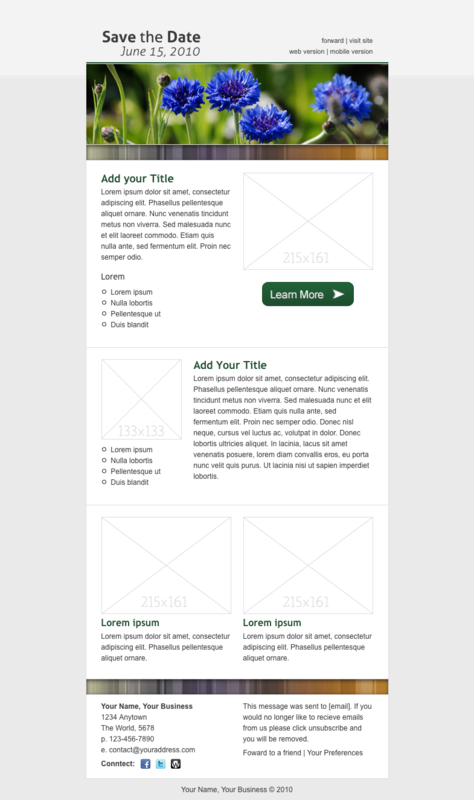 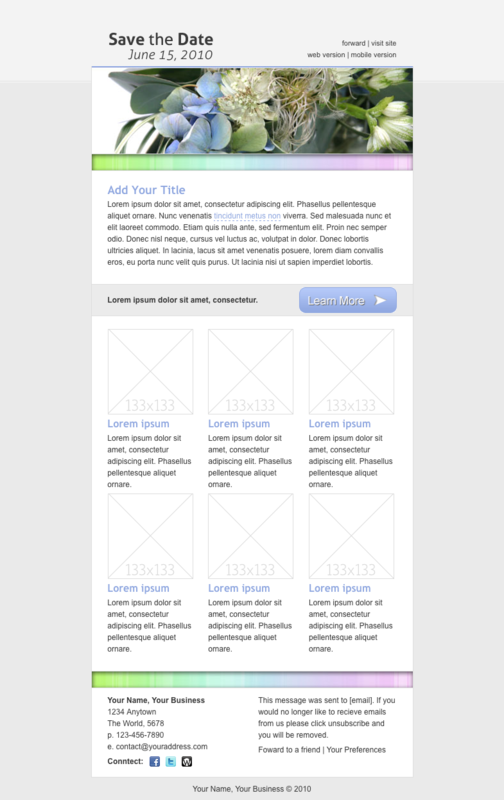 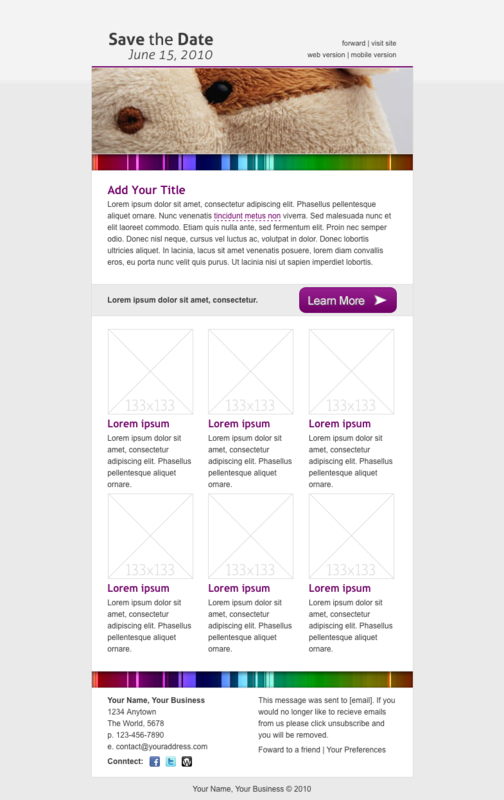 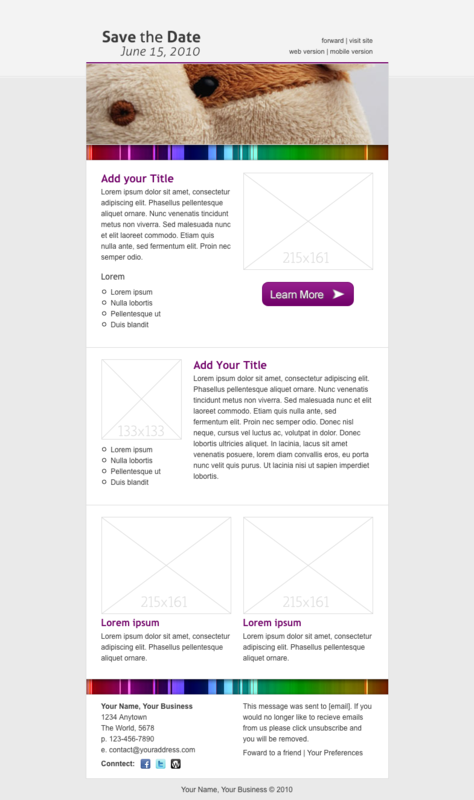 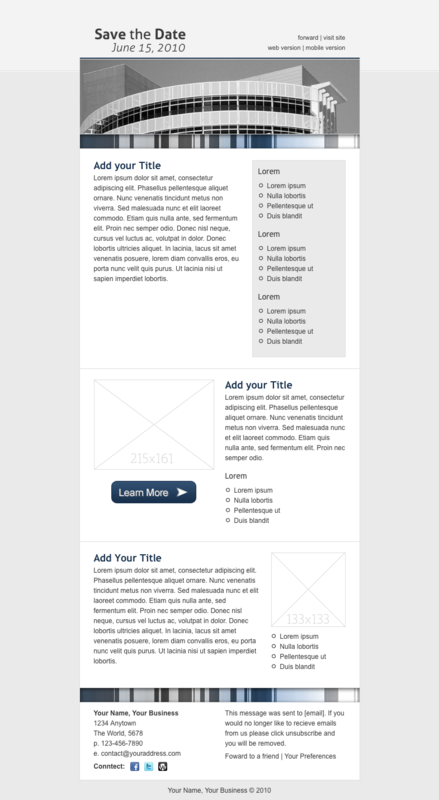 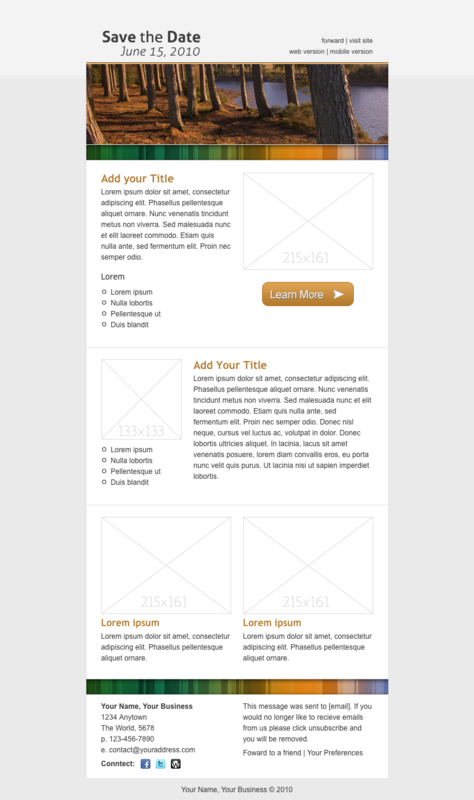 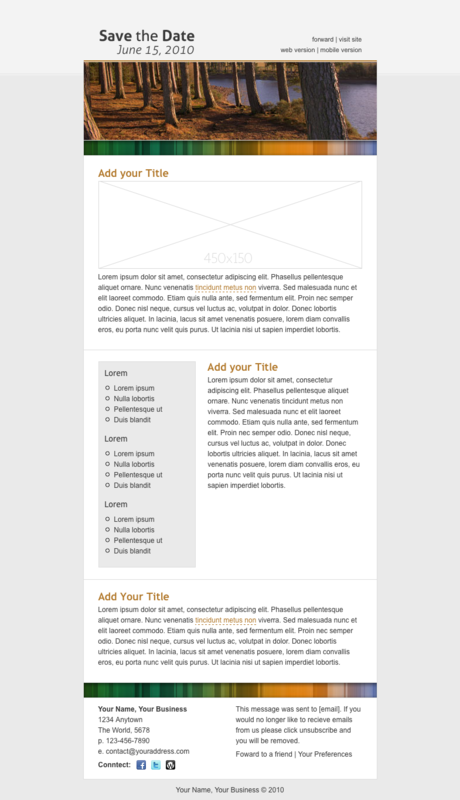 This template is custom designed to be sent as HTML email. 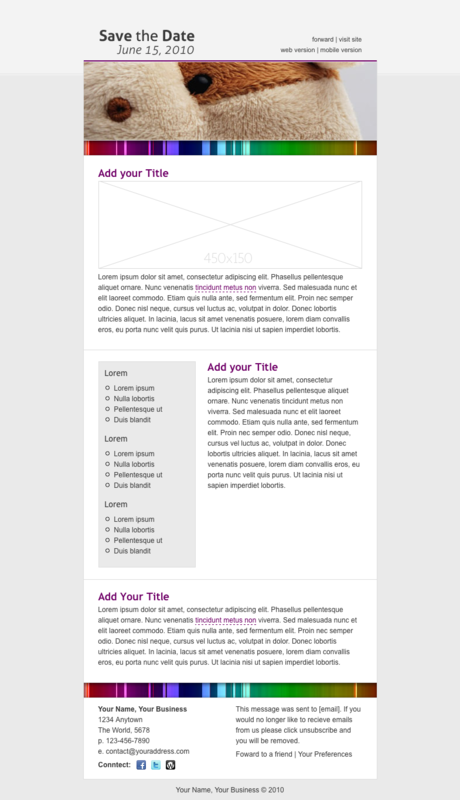 The modular nature of the template makes creating your own a snap. 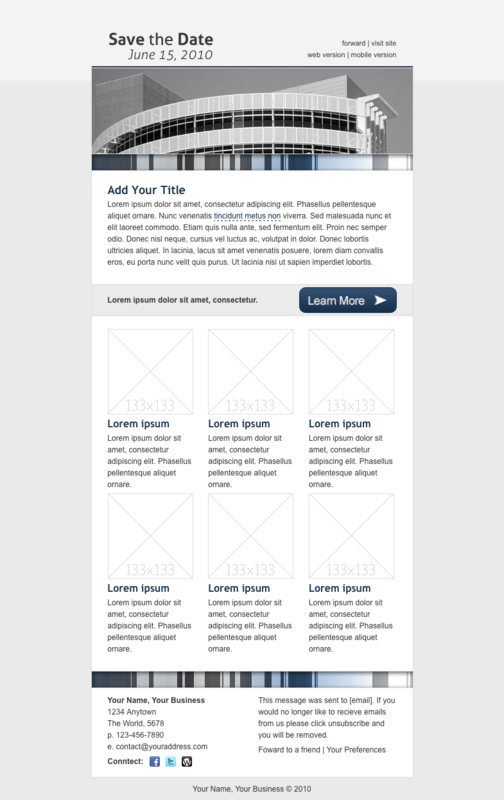 Some basic knowledge of HTML/CSS is required. 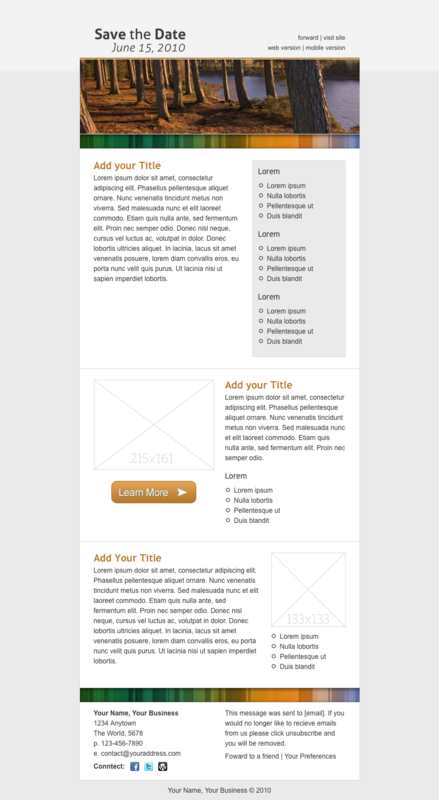 This template is modular and allows for easy custom configuration of content blocks and images. 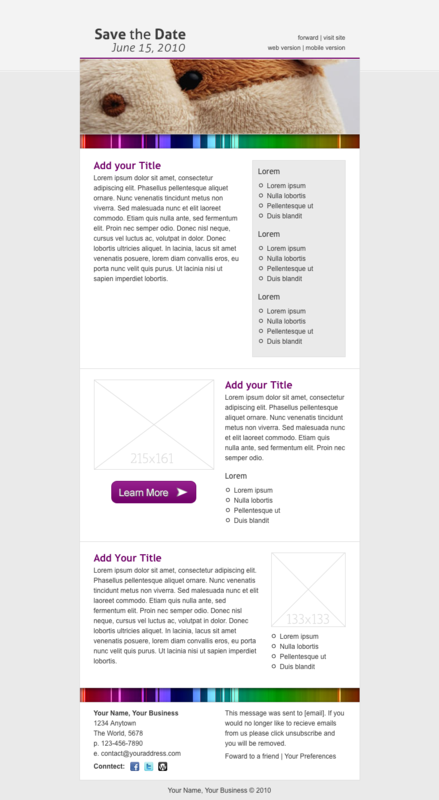 Start with one of the many pre built templates or use the Base structure to easily build your own custom message through simple copy and paste. 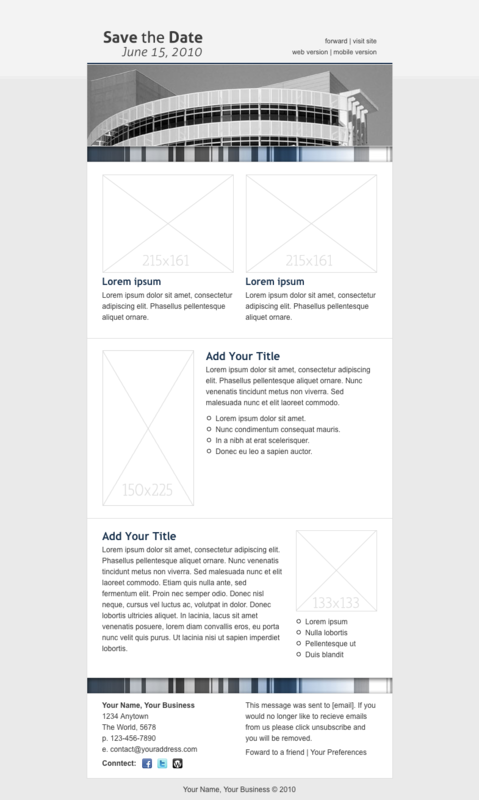 Replacing images is just as easy. 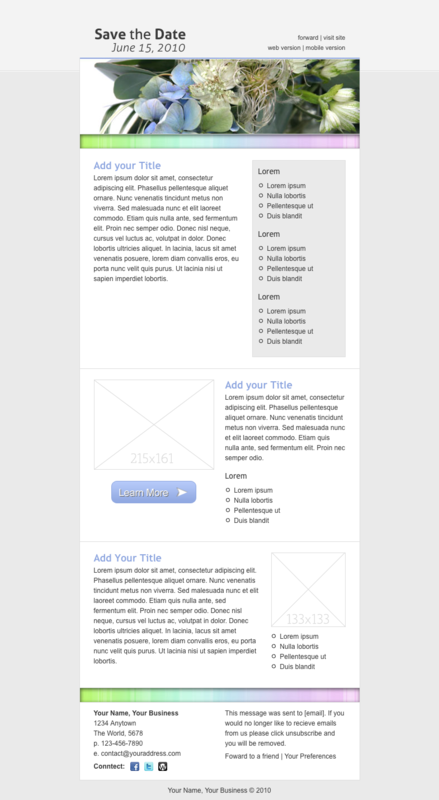 Straight forward step by step instructions with screenshots are included in documentation. 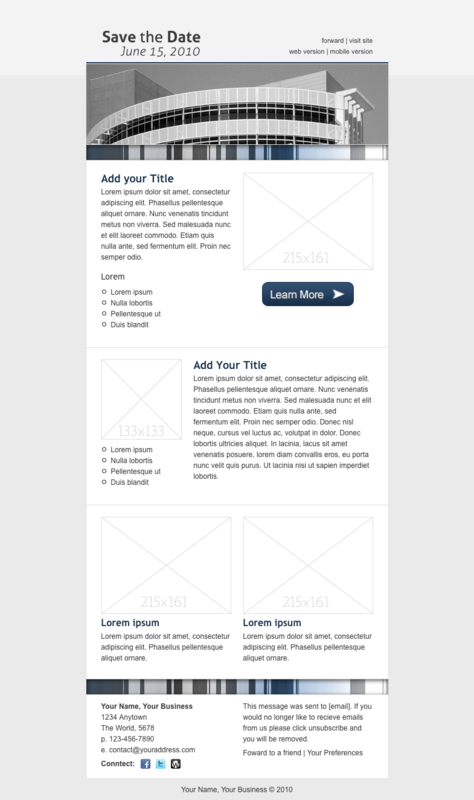 PSDs for all graphical elements. 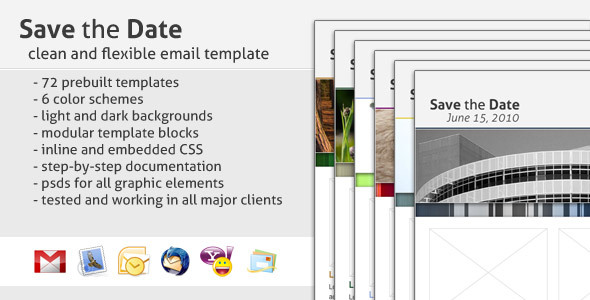 These templates have been tested all the major online and desktop email clients. 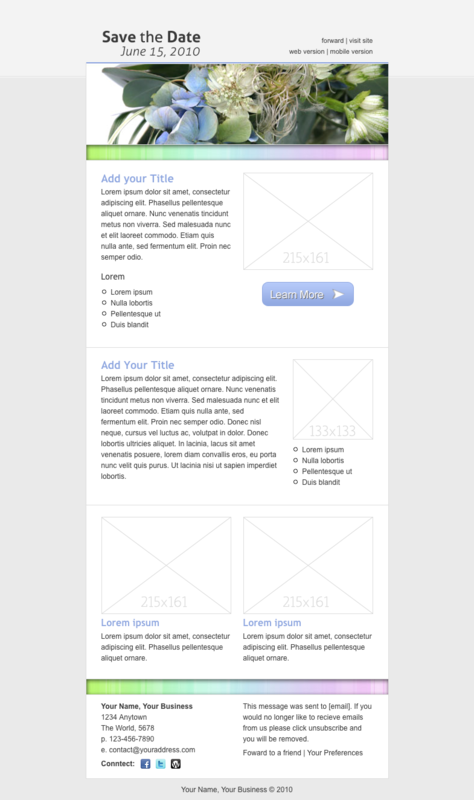 As well as major browsers. 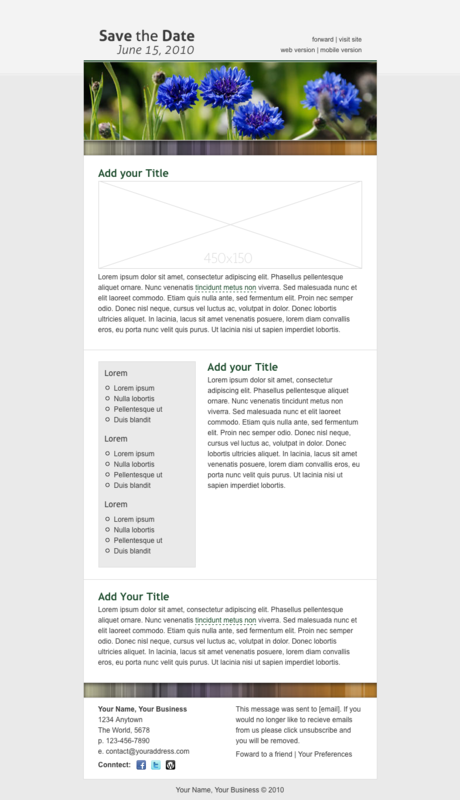 The included read me file contains step by step instructions for modifying or creating your own templates. 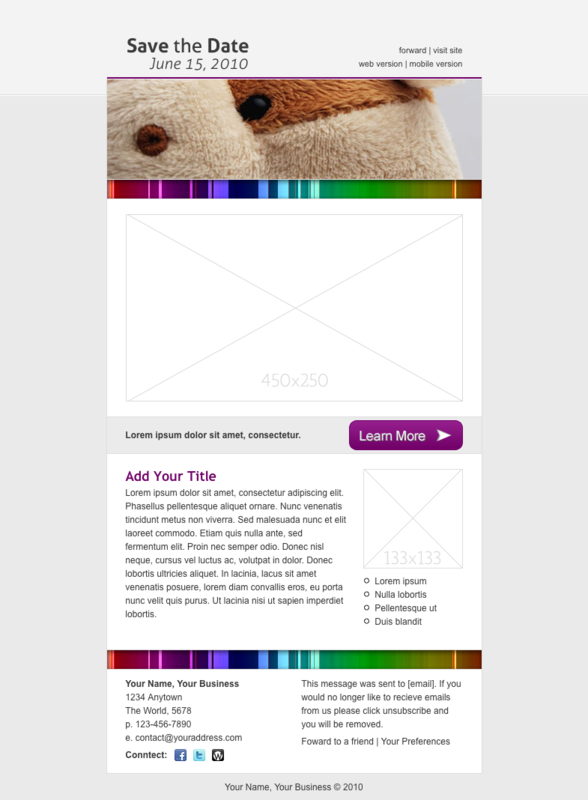 Also included are step by step instructions on how to make your own color schemes using the included psd files.